Sometimes a news story comes out of the state of Florida that sounds a little odd. 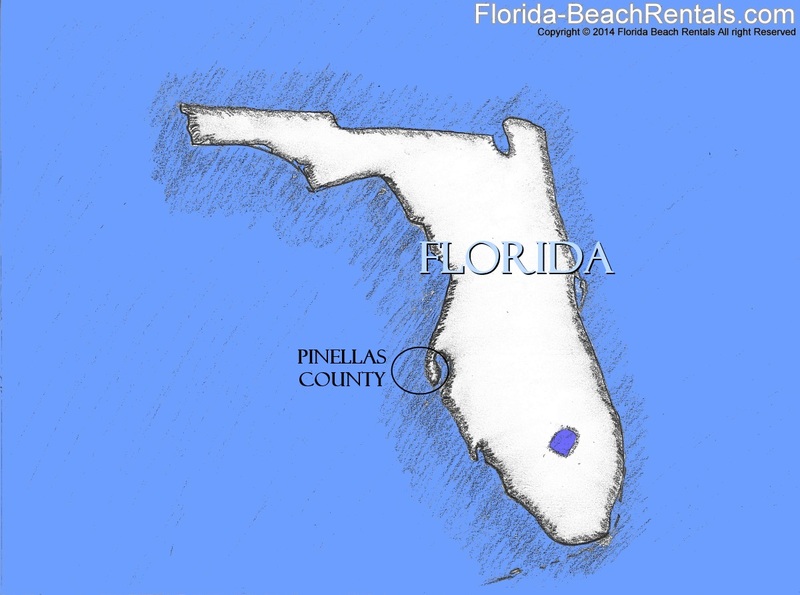 Strange news from Florida includes the legends of the chupacabra and the skunk ape monsters, the house made of bowling balls, the drive-in church, and more. Then of course comes the crazier variety like the woman arrested after throwing her husband’s chicken into the pool, or the man who attempted robbery with a tomahawk. Yes, we citizens of Florida smirk at these too. However, a while back we noticed our own local slice of bizarre Florida, not all that far from Clearwater Beach. While we won’t be disclosing the exact location, we took pictures of the strange occurrence we found. A common variety of rabbit living in Florida is the marsh rabbit. These rabbits are most often seen at dusk, and almost always next to areas of tall grass, where they like to make their homes. They frequent marshes where the abundant undergrowth makes perfect homes for them. Within the stiff grasses that grow along the water, the small-eared rabbits create pathways that look a lot like tunnels. 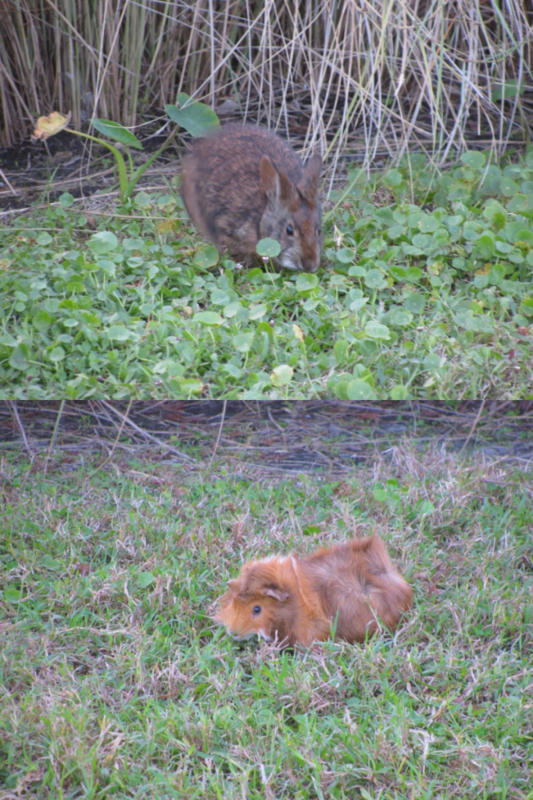 While there is nothing surprising about finding marsh rabbits in Florida, this time we found something else. Living in perfect harmony with the wild rabbits was a Guinea pig! He huddled next to the rabbits and foraged alongside of them. The rabbits had clearly accepted the Guinea pig as part of their community. The animal was well-known to local residents who said the Guinea pig had lived among the rabbits for quite some time. Apparently, each evening at sunset, when the rabbits come out to forage, the small Clearwater, Florida resident draws a small crowd of onlookers.